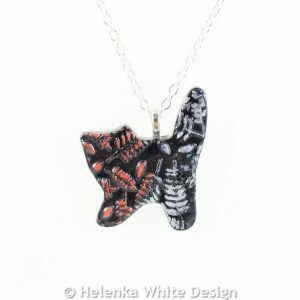 Here you can find beautifully handcrafted jewellery from my fern range. This cute sitting blue silver cat pendant has been handcrafted with polymer clay and blue and silver paste. This cute lying silver blue cat pendant is handcrafted with polymer clay and silver and blue paste. 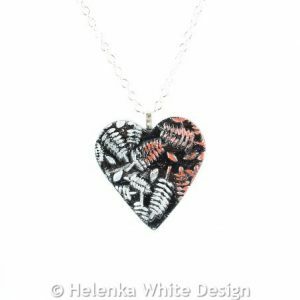 This cute standing red silver fern cat pendant is handcrafted with polymer clay and a red and silver paste.